Yamini is an exponent and teacher of Bharathanatyam. She is the Artistic Director of “Kalasinchanam Yogasthala Ancient Arts Trust” (KYAAT) Ensemble which is a centre for learning Bharatanatyam and studying traditional Hatha Yoga. She runs a Studio dedicated to promoting traditional art forms. Yamini is the recipient of awards like the prestigious “Natya Kala Vipanchee” a title awarded by the Vipanchee Sabha during their Music and Dance Festival in Chennai and “Shrigaramani” Award, a title received at the Kalakar Samelan at the Birla Kendra, Mumbai. In 2016 she was given a title award as “Saarthak Nari” conferred to her by CNBC TV 9. She is also a “Top Graded” artist at the Doordarshan, India’s NationalTV channel. As an empanelled artist with the Indian Council for Cultural Relations, she has travelled across the world as a Cultural Ambassador, appointed by the External Affairs Ministry, Government of India. Yamini was invited by the Ministry for Youth and Cultural affairs, New Delhi, to conduct workshops and dance performances in several schools and colleges in New Delhi as a part of their cultural promotion initiative. Yamini has featured in many ad films. Yamini has given Bharatanatyam recitals in USA, UK, Fiji, Malaysia and Australia sponsored by the ICCR. She has performed at Mount Barton Hall, Bharatiya Vidya Bhavan, London and the Nehru Centre, London. Her tour of the USA includes New Jersey, Washington DC, Los Angeles was sponsored by the Indo American Council for cultural exchange. Her performances encompass a wide spectrum of spiritual and secular themes. 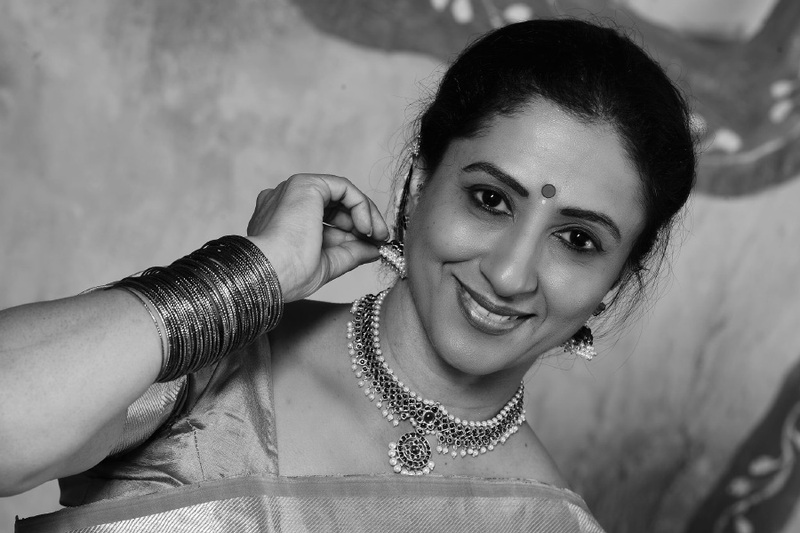 Over 3 decades in the field of performing arts , Yamini has developed large repertoire of performance work. She has performed for a variety of occasions, National and International festivals, conferences, corporate functions, product launches or many such gatherings. Yamini is a post-graduate in English Literature. She believes that Indian art, especially Indian Music, Dance and Yoga has some of the most profound and essential things that India has to offer. She has students from all over the world studying at her exclusive Yoga and Bharatnatyam Studio in Indiranagar, Bangalore. Yamini has been trained in Bharatanatyam under the tutelage of her revered Guru, Dr.Vasundhara Doraswamy.